Kerala is amongst the Best Honeymoon destinations in India and offers a perfect ambience and environment for honeymooners. Swaying palm trees, tranquil back waters, passionate breeze and stunning beaches of Kerala are sprinkled with a sensation of love and romance. Travel Myntra brings you Kerala Honeymoon Tour package with a promise that gleaming natural beauty of Kerala would mesmerize you and will leave you with cherished memories that would last for lifetime. Travel Myntra Team will receive you on your arrival at Kochi Airport or Ernakulum Railway Station and would ensure that you comfortably transferred to the hotel pre-booked for you. Check-in and relax in the cosy ambience of your hotel with your beloved. Kochi formerly known as Cochin is a commercial capital and a cosmopolitan city of the state. This pulsating city is also regarded as the ‘Queen of the Arabian Sea’ and the ‘Gateway to Kerala’. Set out for a Kochi Sightseeing Tour and visit the Popular Tourist Attractions of Kochi such as Chinese Fishing Nets, Jewish Synagogue, St. Francis Church, Dutch Palace or Mattancherry Palace Once your Kochi Sightseeing Tour completes, return to the comfy environment of your Hotel and relax. Enjoy a scrumptious breakfast and head towards Munnar. En-route visit the Cheeyappara Water Falls to enjoy the splendid views of water cascading from the heights. It is simply beautiful and a soul refreshing experience. Spend some quality time amidst the nature and later further proceed to Munnar. On reaching Munnar, check-in at the Resort pre-booked for your stay and relax. Evening free for leisure. Enjoy a scrumptious breakfast and set off for Munnar Sightseeing Tour and visit the Most Popular Tourist Attractions of Munnar such as Tea Gardens, Eravikulam National Park, Mattupetty Dam, Anamudi Peak and Christ Church. Munnar is dotted at the convergence of three prime rivers Muthirappuzha, Nallathanni and Kundly and still remains very much same as British tea plantation town with tea gardens carpet on the entire hills. 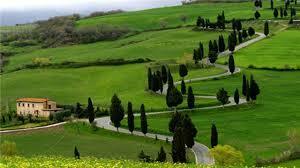 Munnar can certainly allure anyone with its astonishing splendour and invigorating aroma. Once the Munnar Sightseeing Tour concludes, return to the cosy ambience of your Hotel and relax with your beloved. Enjoy a scrumptious breakfast and head towards Thekkady, one of the best wildlife sanctuaries in South India. On reaching Thekkady, check-in at the hotel pre-booked for you. Set off for Thekkady Sightseeing Tour and visit the Most Popular Tourist Attractions of Thekkady such as Periyar Wildlife Sanctuary, a boat ride at Periyar lake, Mullaperiyar Dam and Kalaripayattu. Thekkady is blessed with exotic flora and fauna and is an evergreen forest and a famous Tiger Reserve. While boating on Periyar Lake you will have an exceptional experience of observing wildlife. 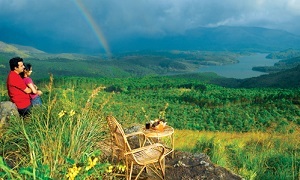 Once the Thekkady Sightseeing Tour concludes, return to the cosy ambience of your Hotel and relax with your beloved. Enjoy a scrumptious breakfast and head towards Kumarakom, popularly known as Backwater Country. Kumarakom is a quiet little village on the famous Vembanad Lake and offers diversified flora, exotic sightseeing, boating and fishing experience. Kumarakom is amongst the best travel destinations on the planet Earth and is also regarded as a Crown Jewel of Kerala. On reaching Kumarakom, check-in at the Lake Side Resort pre -booked for you. Rest of the day has been kept free for you to relish the beauty of Kumarakom through the swaying palm trees and serene backwaters. Enjoy a scrumptious breakfast and set off for a Day Cruise on Kumarakom Backwaters that would certainly takes you to another level of ecstasy and enjoyment. Cruising on Kumarakom Backwaters offers an exotic and romantic feeling which would not easily fade from your memory. While cruising you will closely see the typical life of Kerala villages and would observe different blocks and canals. Kumarakom backwaters have been attracting tourists from far and wide to its shores. The swaying palm trees, paddy fields, coconut grooves and the beautiful houseboats further flourishes your honeymoon. Once the Day Cruise on Kumarakom Backwaters concludes, return to the comfy ambience of your Lake Side Resort and relax. Enjoy a scrumptious breakfast and get comfortable transfers to Kochi Airport or Railway Station for your onward journey. The tour ends here with a collage of unforgettable memories. 1. Stay for 6 Nights for 02 Adults in the choice of Hotels. 3. All Transfers and sightseeing by AC Sedan Vehicle. 1. Any Entrance fees for any monuments, park or museum. 2. Services of personal nature like drinks on table, laundry, telephone bills etc. 3. Meals other than mentioned in the Inclusions. 5. Camera charges levied by any monuments. 6. Service Tax as per government. 7. Any other Interim Tax or Charges levied by State Government during the Tour. Goa is amongst the most Beautiful Beach Destinations of India adorned with ma..
Kerala is amongst the Best Honeymoon destinations in India and offers a perfect ambience and envi..